In 2009 we were, as always, interested in reading about fascinating lives. We enjoy stories of our contemporaries who have lived through the same experiences that we did. In After the Falls by Catherine Gildiner we have a coming of age story focused on the 1960's. Gildiner was a spirited and unusual child who grew up during a time when the world changed rapidly. Connelly is part travel diary part love story. Connelly traveled in Burma, a dangerous and beautiful place, in the late 1990's finding herself in the midst of student demonstrations and falling in love with a gifted man. Sometimes it is not what we do that is fascinating but rather our own level of self awareness. 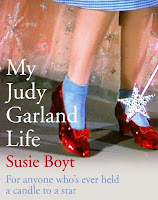 This is very clear in My Judy Garland Life by Susie Boyt. Boyt (who, interestingly is Sigmund Freud's granddaughter) examines her own life through her long-time obsession with Judy Garland. Some lives are fascinating by chance. We take interest in and sometimes comfort from people who have been through extraordinary circumstances. The Boy in the Moon: a father's search for his disabled son by Ian Brown tells the story of Brown's son who has a rare genetic disorder which leaves him unable to communicate in typical ways. The book is Brown's attempt to understand his child. Losing a loved one to dementia is becoming an all too common experience. In Enter Mourning, Heather Menzies describes in her life in the so-called "sandwich generation" caring for both a young family and an aging parent. Canadian novelist Wayson Choy had two brushes with death. In Not Yet: a memoir of living and almost dying he explores the impact this had on him and the importance of family and love in his life. 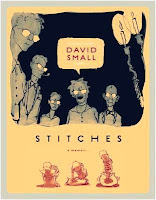 In another life and death situation Stitches: a memoir by David Small (in graphic novel format) tells the story of his traumatic childhood and cancer survival. Part two of this list will be posted tomorrow, January 2nd. These books were selected using Overbooked.com, The Globe and Mail and Quill and Quire.